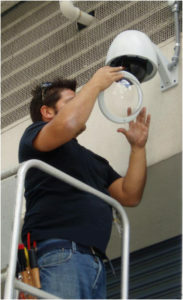 Security cameras and video surveillance are one of the fastest growing and evolving sectors of the security industry. The ability to provide surveillance and verification of events can offer many benefits to a building owner. A properly designed system can give you peace of mind that should an incident take place on your property, it will be captured on camera and the presence of a system can act as a deterrent against theft or intrusion. Bulldog Fire and Security’s staff will perform a free site assessment of your property and be able to provide direction and recommendations for a properly installed security camera system. We will work closely with you to design a system that will fit your unique needs and give you the level of surveillance that you need. 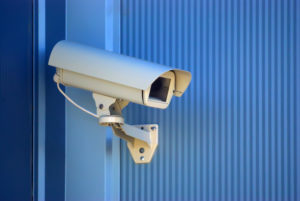 Do You Install Analog Or IP Commercial Security Camera Video Surveillance Systems? Bulldog Fire and Security has the ability to work with IP and Analog systems. More recently, IP based systems have become much more cost effective and provide the user with a higher quality of surveillance footage. Bulldog can install security cameras, which record 1080P definition, and can even provide cameras with a higher resolution of necessary. These high-resolution cameras allow for the coverage of large areas by a single camera, which is contrary to the older analog systems that often required multiple camera devices. Additionally, IP based security camera systems provide the user with a great scalability, which are ideal for growing businesses. Bulldog has experience dealing with a variety of system sizes and deal with a multitude of manufacturers, which will allow them to provide you with the best possible system at a very competitive price. Will You Service My Existing Commercial Security Camera & Video Surveillance System? Bulldog Fire and Security has experience with a wide variety of security camera and video surveillance systems and can service and enhance most existing systems. Our experienced and certified technicians can identify and correctly service most security cameras and video surveillance systems. Can You Perform Video Verification of my Commercial Security Alarm System Using My Existing Commercial Security Cameras & Video Surveillance System? In most cases, Bulldog Fire and Security can provide video verification using your security camera and video surveillance system. Video verification is a proven technique that reduces the chances of false alarms. In the event of an alarm, our ULC-Listed Monitoring Station can log into your camera system or have it integrated with our alarm monitoring software and check the status of an alarm. By verifying the cause of the alarm, it allows our dispatchers to make informed decisions about dispatching a response, thus reducing false alarms. In some areas, police are requiring verification before they respond to an alarm, and video verification is an excellent way to accomplish this. It is important to note that security cameras and Video Verification does require an internet connection in conjunction with Bulldog’s intrusion monitoring services. Customers benefit from decreases in costs incurred due to false dispatches. Reduced risk of property damage. Reduced risk of internal theft. Reduced number of false police dispatches. Reduced number of false guard dispatches. Can replace a standing security guard. Reduced number of after hours employee dispatches. Upon signal receipt at Bulldogs Signals Receiving Centre, one of our Dispatchers will view the corresponding camera system through the remote viewer to verify the alarm.